As the number of toll projects continue to ramp up in the name of easier commutes, thousands of Texans are feeling anything but relief. Angela Dean spends at least $200 a month to cover after-school care for her 5-year-old son. Getting back and forth to work — and making sure she picks him up in time — costs another $200 just in tolls. The North Texas suburbanite uses the President George H. W. Bush Turnpike or Sam Rayburn Tollway to travel between her Lewisville home and Richardson workplace each day. Those roads are like many across Texas built in an era when transportation leaders said there wasn’t enough tax money to fund all the construction needed to keep up with population growth. Regional planners and state officials are also adding managed toll lanes alongside existing highway main lanes throughout the state’s urban areas. Those are used to partially finance road rebuilds and expansions — and to provide drivers with the option of paying to avoid congestion. But as the number of toll projects continues to ramp up in the name of easier commutes, Dean is among thousands of Texans feeling anything but relief. Drivers across the state complain about paying tolls on top of gas taxes, being charged exorbitant late fees and having to choose between traffic delays or costly toll bills. Texans, local officials and legislators have pushed back on plans for new toll roads and managed toll lanes in recent years. 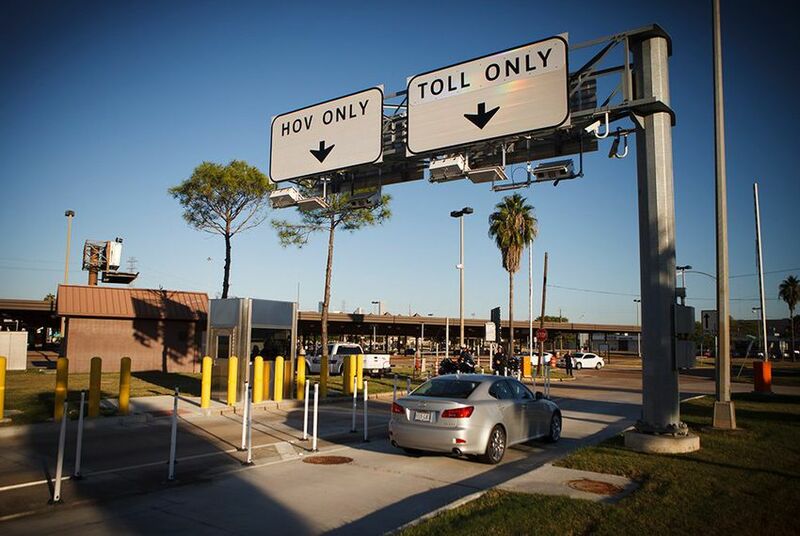 Voters in 2014 and 2015 sent the Texas Department of Transportation more revenue, after state leaders assured them that the money wouldn’t be used on toll projects. The agency considered using an accounting maneuver to still fund some new managed toll lanes but backed off that idea amid political pressure Thursday. Meanwhile, Texans are seeing existing toll lanes impacting their pocketbooks — and influencing major life choices. In 2015, an 11-mile stretch of Austin’s MoPac Boulevard expanded to eight lanes from six, and the two new lanes were tolled — to the displeasure of Laura Thomas. The Austin resident bought a house near the corridor thinking the construction would be complete within a year. But construction on the $200 million project took much longer, making the drive to her daughter’s school “unbearable.” Thomas found herself having to choose between paying a toll to skip traffic or spend time trapped in gridlock. Eventually, Thomas sold her house and downsized to an apartment in another part of the city that had 500 fewer square feet and one less bedroom. For Christie Nichols Duty of Kaufman, a town about 35 miles southeast of Dallas, toll roads have proven to be hard to avoid — even when she tries. Last year, she and her husband were driving on Interstate 35-E near downtown Dallas when they realized they were in a lane that would force them to enter the Dallas North Tollway. The couple tried to change lanes, but weren’t successful. Duty said they’ve also had problems with confusing signs on other highways, like LBJ Freeway, that have managed toll lanes running alongside main lanes. “For people that are not used to the area, it can be very deceiving,” she said. 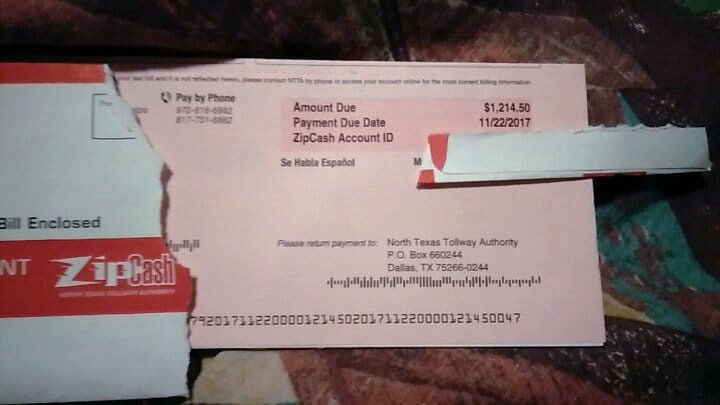 When the couple received a $35 bill from the North Texas Tollway Authority, they didn’t initially pay it because they weren't happy with being "forced onto the tollway." Now it’s ballooned into a $1,200 bill. “We’ll have to do a payment plan because we don't have that kind of money sitting around,” Duty said. Michelle Kelly of Mesquite used to rely on toll roads all the time when she was a student at the University of North Texas in Denton. These days, she uses the Bush Turnpike to go to nearby Rowlett or visit Firewheel Town Center in Garland. But she said the “pricey tolls” mean she only uses that corridor on occasion. “I’m on a budget, and it hurts my budget if I drive on them on a regular basis,” she said. Dean, the Lewisville commuter, is among many people who thought that once toll revenues paid off construction costs, roads and toll lanes would become free for drivers. But toll agencies and the Texas Department of Transportation instead plan to use excess toll money to fund road maintenance — and construction of new projects. That includes new toll projects.